Build a simple yet functional bird feeder and bird house without having to spend much money. There are three shelter plans and three feeder plans included. All of these are very easy to make and include traceable patterns. 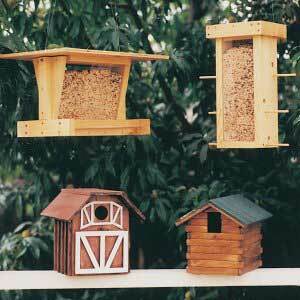 You just need some basic woodworking skills and your new bird house or bird feeder is ready. At the cost at which it is offered on this site, it makes sense to buy it if you want to build an affordable place for your feathered friends to stay in.